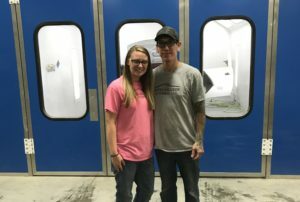 The Society of Collision Repair Specialists and Spanesi announced at SEMA and again Thursday that an Oklahoma collision repairer won its annual show raffle. Billie Estes of Miami, Okla.-based Estes Collision & Towing won a $8,500 Q5.2 Synergic Inverter MIG/MAG welding package donated by Spanesi. Spanesi said the 208-230V, single-phase, double-pulse welder also meets the Assured Performance requirements, which would make it approved for Ford, FCA, Nissan, Hyundai and soon Kia OEM certified shop networks. “We actually didn’t realize exactly how many companies sold similar products,” Amanda Estes of Estes Collision said in a statement. “It really opened our eyes to research each product further. We really feel like this Spanesi Q5.2 in particular is a great fit to exactly what we were looking for; and it will help us continue to grow and expand the services we can offer. 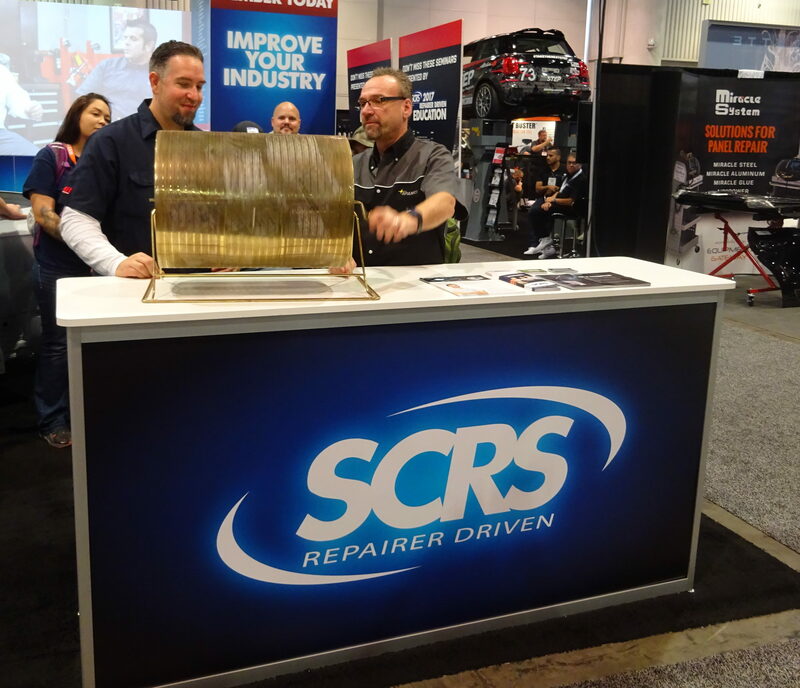 Billie Estes and all the other entrants had to take a “report card” from the SCRS booth and get it stamped by all of the Repairer Driven Education sponsors to be eligible.